Find a short report on show results on the NEWS page. 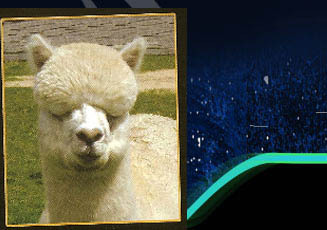 Starwood alpacas have been consistent winners in the show ring during the past 18 years. Many have been awarded Champion in their age classes and winners of Best Colour classes. Supreme Alpaca Exhibit of Show. The two beautiful females below were bred, owned and shown by Starwood for the Supreme Exibit accolade AND are also dams of champion offspring.